Thats a wrap for LevelUp Build 11! Like a lightning flash, we’ve now reached the conclusion of the program. Looking back, the past 6 weeks have delivered some intense group project activity, key learnings, personal growth, diverse challenges and a lot of laughs. For our final full-day session, each team was given time to finalise their projects, then move onto developing their final presentations. To kick of the day, teams and ThoughtWorks trainers were treated to fresh waffles for breakfast, featuring some decadent toppings made in-house which was a fun way to get the teams motivated for the last steps. Post food-coma, each team busily got to work to ready their projects for presentation. Starting with our final stand up meeting, each team member covered off tasks they were working on, whats required to achieve the task as well as work through the overall agile process to ensure tasks were flowing through the team to be signed off by our product owner. I was able to finish up my assigned development tasks including some pair programming and QA testing, before our incredible ThoughtWorks trainers took us through planning our presentation, sharing some great insights about the what, why, and how of what we aim to communicate. After team member roles were assigned for our presentation, each of the 3 teams gathered together for one last time. All in all, our group presentation went off without hitch! Each team member was able to share what they contributed to the project and how we worked together to solve the product owners problem. I felt incredibly proud of our entire team, the hard work and effort paying off, with each of us taking away some key learnings for our future careers. To sum up my experience, I had a blast. 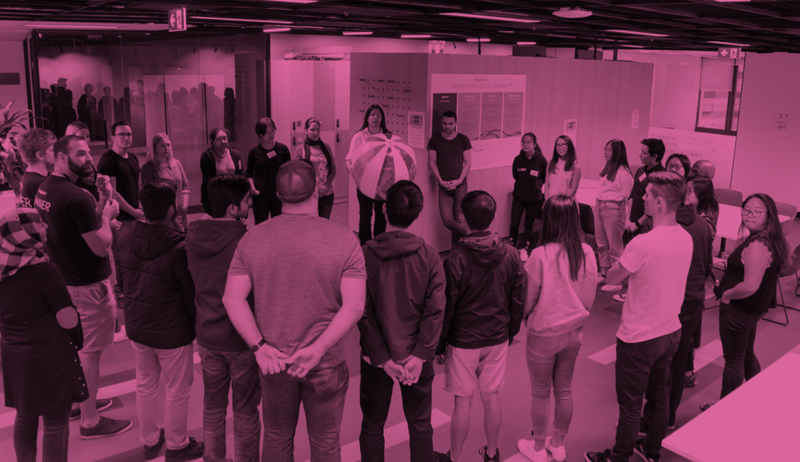 From start to finish, the team at ThoughtWorks led an incredible, well-structured program that covered a lot of ground, taught me a lot about myself as a developer and how I can better interact with collaborators and cross-functional teams in the future. If you are thinking about signing up, JUST DO IT. It has been such a beneficial experience and I would do it all again in a heartbeat. A big thank you to all the ThoughtWorkers who generously gave their time as part of the project, and all the fantastic participants of LevelUp - Build 11 too. Newer PostLevelUp Melbourne registrations are now open!